The flowers are photographed in the garden of my grandmother . My favorite . 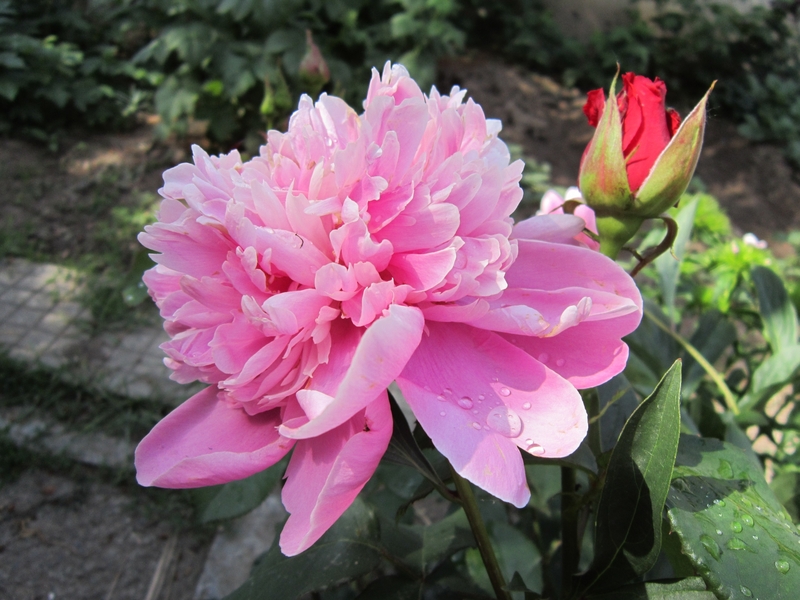 Peony and rose.